So, you think you want to be a GM. That’s GM, as in General Manager, as in the person who gets to make all the personnel decisions for a baseball team. 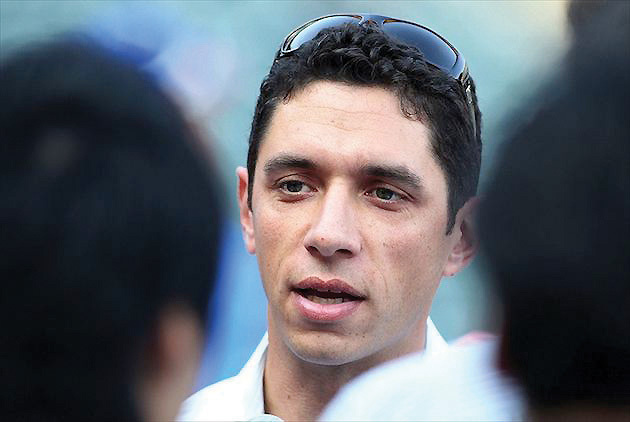 You might want to tap the brakes on that desire when you consider all that Texas Rangers GM Jon Daniels is considering now. Jon has decisions to make about Yu Darvish, Jonathon Lucroy, Mike Napoli and Carlos Gomez, to name a few. As we sit here in July, you may think that Daniels has ample time to make those decisions, given that the off-season doesn’t really begin until November. Actually, here’s what’s going on in JD’s world as the season reaches its halfway point: He must decide – sooner than later – what he is going to do to best serve his club. Trade for the future or trade for the now. So many decisions, so little time. For Daniels and his baseball operations staff, the baseball season is not always 162 games. Sometimes, it is more like 105 games. 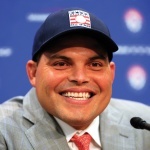 They have until July 31 to decide what the future will look like for the Rangers. The elephant in the room is Yu Darvish, an ace pitcher who has been a bargain for Texas for the past five years. He won’t be for the next five. Someone is going to pay Darvish between $25 and 30 million per season. Will it be the Rangers? I hope so! 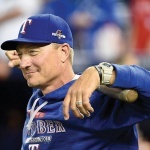 Owner Ray Davis is on the record saying the team will do what it takes to keep Darvish. The golden rule of baseball is that you can never have enough pitching. The Rangers are no different than most teams. They are always in the market for good pitching. Darvish is an ace, and even though he will turn 31 next month, I say you do not sacrifice an ace. The other side of the argument is simple; it states that Father Time is undefeated. Eventually every player loses the battle of age. So, how long before Darvish succumbs? It is hard to say, but early in his career he pitched in Japan and only pitched once a week. Since coming to the U.S., he has missed a season and a half due to injury. So the odometer reading on his arm is low. Who knows when his body will say, “no more pitching.” JD doesn’t, and therein lies the difficulty of the decision. How would you like to be the one that signs him for five years – then his body quits after two, and you are still on the hook for $150 million, give or take? The next decision should be easier, but in the case of Lucroy, it is not. He, too, is 31, a catcher who is a free agent at the end of the year. Catchers endure a lot of wear and tear, so their careers could be counted in dog years. However, because the Rangers have no other catcher available in the farm system, signing Lucroy becomes a priority. He is a student of the game, a leader in the clubhouse and he would love to finish his career here. I believe the Rangers should sign him, too. After all, Robinson Chirinos can’t catch every game. Of course, since we have just spent all of that money on Darvish and Lucroy, there is not much left for Gomez or Nap, or any other free agents that may be available. That is another thing that makes JD’s job so tough. If he is like me and believes that the team should sign these two, then all he has to do is convince the billionaire owners that this is a good business decision.